Editor’s Note: Paul Chaney is a longtime contributor to Practical eCommerce. He’s an expert in social media marketing and he’s written extensively on how ecommerce firms can best utilize social media to grow sales. 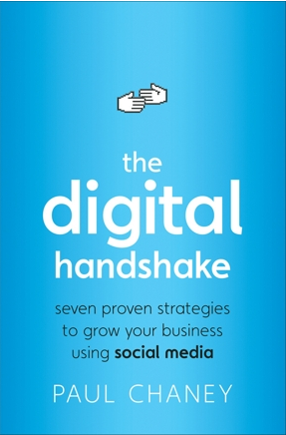 Chaney is also the author of a new book on social media called The Digital Handshake. It’s published by Wiley and we’ll be publishing two partial chapters from it. The second installment, below, is an excerpt of chapter nine, where Chaney explains why companies should foster online communities and what types of communities exist. The first installment was Book Excerpt: Social Media Helps Overcome Consumer Skepticism. It’s a way to strengthen the relationship with your customer. It’s searchable by Google and other engines. It’s a useful feedback mechanism. It’s a tool customer evangelists can use to spread positive word of mouth. It’s a way to give customers and employees a sense of ownership of your company, products and services. Similarly, there are a number of different types of communities. Let me outline three, Customer Communities, Employee Communities and Vendor/Partner Communities. Customer-facing communities can take two forms, support and engagement. Direct marketing company Vertical Response created the VR Lounge as a “resource for small business owners and marketing professionals to share experiences, ask questions and assist one another in marketing their businesses.” The primary reasons for its existence are to provide training and support for its customers and serve as a platform to enable them to help one another. VR Lounge is built on the Ning platform, which provides members with the opportunity to create forum posts, upload video, join groups or add articles. VR supplements this activity with content of their own in the form of articles and business tools. Healthcare and pharmaceuticals company, Abbot Laboratories, has created two very similar, branded niche communities to address the needs of two very different customer groups, diabetics and pregnant or nursing mothers. Diabetes Control for Life is a Web site designed to help diabetics control their blood sugar levels and manage their weight, while Strong Moms provides educational resources for new mothers. Both sites function similarly in that provide a mix of educational content, articles from experts and discussion forums to allow for member interaction. A subtle emphasis is placed on products made by Abbot targeted to each community, but that never gets in the way of the main goals of the site – education, information and community. “An effective messaging campaign will make its way into the lives of their customers through engaging experiences, conversation and referrals. The Web 2.0 environment has provided a powerful platform not just for consumers to take control, but for brands to be relevant and accessible,” said Ana Dan, Director of Marketing Systems and Services for Abbot Nutrition, explaining the reasons for creating such branded communities. “In most surveys and studies, consumers who engaged in online forums and tools specific to a lifestyle or health category are much more likely to consume products in the related category,” Dan added. Research and understand your target segments interest in other non-competing categories and products. Form a coalition with related but non-competing products. Create non-branded, dynamic content and tools to drive consumer engagement and returning customers to your site. Use experts to lend your site credibility. Use social engagement tools to foster sharing and conversation with consumers on your site. Infuse the site with the coalition products in passive ways and more assertively through banners. 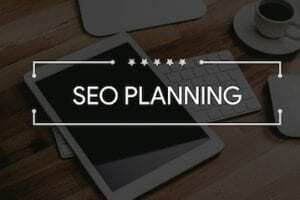 Market to those consumers who come to your site and to those that don’t by syndicating out content to other relevant destinations. Another reason for creating online communities has nothing whatsoever to do with customers (not directly at least), but everything to do with employees, as a way to give them a voice and ownership stake in the company. Best Buy’s Blue Shirt Nation, a reference to the employee uniforms, is probably the premiere example of such a community. It was started as a way for employees to stay connected with one another using SMS, chat, email and the Web. Members can set up personal profiles and interact via topical forums. Best Buy’s motivation in creating the site was as a way to tap into employee insights as a way to improve customer service and marketing within the stores. The results speak for themselves. Over 20,000 employees signed up in the first year. 65% of members are active on the site, and Blue Shirt Nation experiences a very low turnover rate (8.5%) in comparison to the high turnover rate of employees within the company itself, estimated at 60%. Online communities are not limited to customer or employee engagement. For many companies, especially those that have a large number of vendor partners, this format can serve to facilitate communications between the business and its partners, the sharing of best practices, strengthen partner relationships and provide a channel for customer service and support. Vendor/partner communities are also being leveraged at the industry level. For example, Fohboh, an industry acronym which stands for Front of the House and Back of the House, is a large professional community serving the restaurant industry. With more than 10,000 members, it offers a way for those in the food and beverage industry a way to connect, collaborate, and communicate with colleagues and service providers.